Tinnitus is characterized by hearing of sound (for instance ringing, whooshing, humming or buzzing) when there is no external source of sound present. 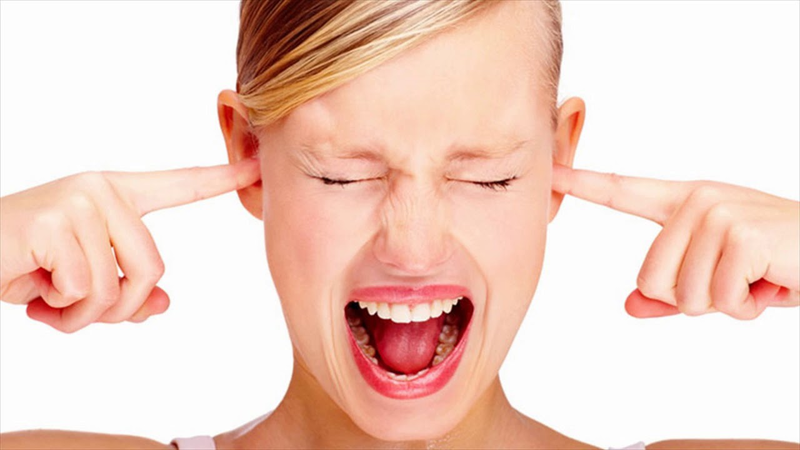 Tinnitus may be intermittent or constant, pulsating or steady. It may be perceived in both ears or in one ear or in middle area of head. Some individuals may believe that an external source is the origin of sound and look for it until they discover that it’s originating inside them. Tinnitus is quite uncomfortable. How to stop it? You should understand that all people are very different from each other so it is not possible to suggest one treatment that works for every person. However, a simple technique is there that is very often effective in many people suffering from tinnitus. Any individual who has this condition should at least try this technique once. To do this technique, you have to place your palms over your ears while the fingers are kept on the back of your head. Both the middle fingers are pointing towards each other. They are so placed that they lie above the point of the ending of the skull (at the base of skull). Now lift your index fingers of both hands and put on top of middle fingers. Snap index fingers off middle fingers just like the skull is beaten like a drum by the index fingers. Since, your hands cover your ears; you may hear this sound of beating quite loud just like the sound of beating of a drum. Repeat this drumming with your fingers for around 40-50 times. You can repeat this technique on your ear several times in a day depending on how severe your condition is. How to stop tinnitus instantly? To stop tinnitus, you can put a couple of drops of hydrogen peroxide drops or baby oil in the ear so as to remove any earwax build-up. If this doesn’t help, take ginkgo biloba and zinc supplements to ease tinnitus. You can listen to some music to drown the noise of tinnitus. Eventually, visit a physician to find out the cause of tinnitus so that a long-term remedy can be determined. If tinnitus is caused due to an underlying medical illness, then the initial step is to begin treatment for that condition. However, if tinnitus is still present after treatment or if it occurs due to loud noise exposure, multiple non-medical options are recommended by health professionals that may help in reducing tinnitus. In some cases, tinnitus may go away spontaneously on its own. You can also find help by counseling and at support groups. You may ask your physician for a referral. If earwax is the cause of your tinnitus, your physician will clean the ears by suction using a curette or flushing your ears using warm water. If there is an infection of the ear, you will be given, ear drops that contain hydrocortisone to relieve itching and antibiotics. You may be a candidate for surgery if you have a cyst, tumor or otosclerosis (deposit of calcium on ear bone). How to stop tinnitus instantly? If TMJ or temporomandibular joint syndrome is causing your tinnitus, then you will be referred to an orthodontist. In some patients, tinnitus has been reduced by taking low doses of antidepressants such as elavil or anti-anxiety drugs including valium. In some people, using a steroid that is put in the middle ear in association with alprazolam is found to be effective. A hormone misoprostol is helpful in certain cases. If tinnitus is associated with hearing loss, then hearing aids are beneficial. Many individuals have also found tinnitus maskers beneficial. These are devices that resemble hearing aids and play a sound that is more pleasant to hear than the sound produced by tinnitus. A new device is an instrument that combines masker and hearing aid. TRT is dependent upon the ability of the human brain to become habitual to a noise and screen it from the mind on subconscious level and does not let it reach to the conscious perception. No conscious efforts are required for habituation. Individuals frequently habituate multiple auditory sounds such as sound of air conditioners, refrigerators, gentle rain etc. These sounds are screened by the brain as they are not considered as important. 1. The individual suffering from tinnitus will wear sound generators in their ears so that they have a neutral source of sound everywhere they go. 2. The individual will receive counseling. TRT takes around 1 to 2 year and is quite successful when done by experienced professionals. This is a type of counseling, which helps an individual modify their reaction to tinnitus. It has best effect when used in combination with other types of therapy including medicines or masking. This is a type of relaxation technique, which helps individuals to manage their stress by changing the way they react to it. It is helpful in reducing tinnitus in some people. According to some professionals, a problem in the TMJ or temporomandibular joint, the area where jaw bone is attached to the head, in front of ear, may cause tinnitus. Hence, tinnitus may be relieved by dental treatment as nerves and muscles in jaw are connected closely to those present in the ear. Cochlear implants are utilized to treat cases of severe deafness. They also help individuals who have significant hearing loss related to tinnitus. By the device, electric signals are sent from the person’s ear to the brain. The surgery is; however, not done only for tinnitus and done when there is associated hearing loss. Though no alternative therapies or vitamin supplements have proved to be beneficial for tinnitus; but some people take herbal remedies including ginkgo biloba or minerals including magnesium or zinc with variable results. Other persons have obtained relief with magnets, hypnosis or acupuncture. You should consult with your physician before using any of the alternative treatments. Reduce your intake of coffee, tea and soda to decrease tinnitus. Decreasing salt intake may also reduce symptoms by reducing blood pressure. Reducing or quitting smoking can help in curing tinnitus as nicotine may reduce flow of blood to the structures of ear. It has been shown that playing instrumental music of even loudness soothes body systems related to emotional processing that are tied to negative emotions associated with tinnitus. Furthermore, playing music that is similar in frequency to an individual’s tinnitus may reduce the loudness of the perceived noise. Certain programs offer applications for phone or computer so you can even try the treatment at your home.